iFretless Bass is a professional virtual instrument that provides bass and guitar players with an expressive fretless playing surface. The layout is like an eight string bass guitar with the notes colored black and white like the keys of a piano. Although it looks different from a guitar neck, bass players will find it surprisingly easy to use. 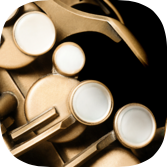 The app's ability to measure the force of touches on the screen allows it to respond to dynamics and accented notes with a wide range of different tones for each instrument. 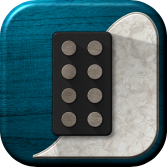 iFretless is a guitar fretboard re-designed for maximum playability on iOS devices. It replaces two handed playing and strumming with a one-touch-per-note design that enables fast, precise playing of melodies, scales, and arpeggios and real-time control over the pitch of each individual note. 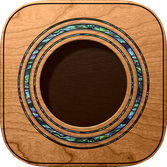 iFretless is not an imitation guitar for your iPhone; it's a powerful new way to make music. iFretless Brass enables guitar and string instrument players to play expressive music with a variety of instruments. It includes a detailed library of samples from real brass instruments as well as a collection of classic synth sounds. Each note is sampled at nine different volume levels in order to capture the full range of tones produced by the original instrument. 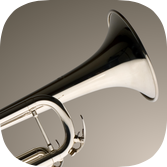 This is the app for guitar, bass, and strings players who need realistic woodwind instrument sounds for recording or live performance. iFretless responds naturally to the the finger movements strings players use for vibrato and sliding between pitches. Using those techniques, the app gives a more believable, natural imitation of woodwind sounds than traditional keyboard based synth interfaces. It also supports midi input from EWI MIDI controller devices and keyboard MIDI controllers. Supports MIDI input and output for interface with external devices such as digital pianos and electronic wind instruments as well as virtual MIDI compatible iOS apps. A patented algorithm uses the accelerometer accurately detects touch pressure on the screen and respond with dynamic selection of samples of the appropriate timbre and volume. Responds to fretless vibrato and between-note slides in a natural way, making it one of the most expressive performance interfaces available anywhere.